You are Rolf Steele, a veteran Space Pilot shot down over Planet Barathrum. 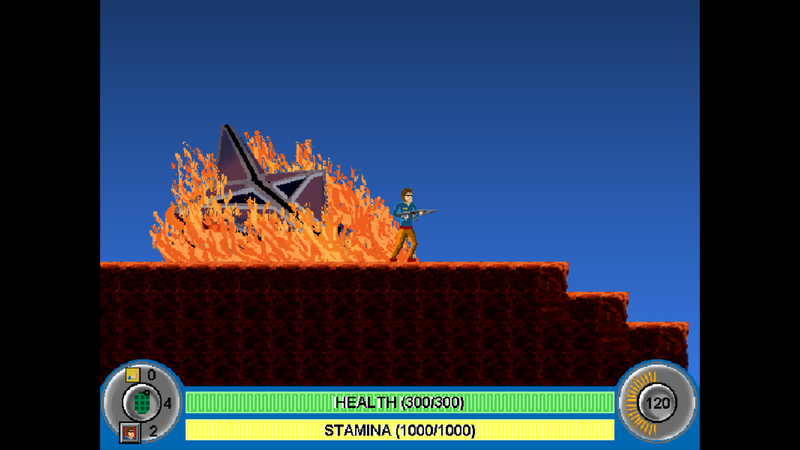 Armed with only your rifle, you must avoid capture from the aliens pursuing you and escape the planet! 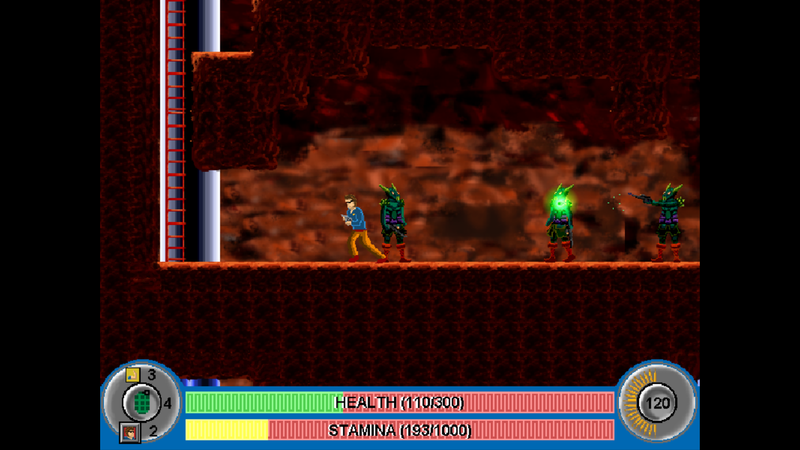 Fight your way through rocky wastelands and sinister laboratories against demented enemies in a side scrolling pixel art world complete with sound effects and midi soundtrack. -Run, jump, climb and grab onto ledges over five different levels. - Fast paced side scrolling action, featuring seven different enemy types. - Entirely original pixel backgrounds, characters and original midi soundtrack. 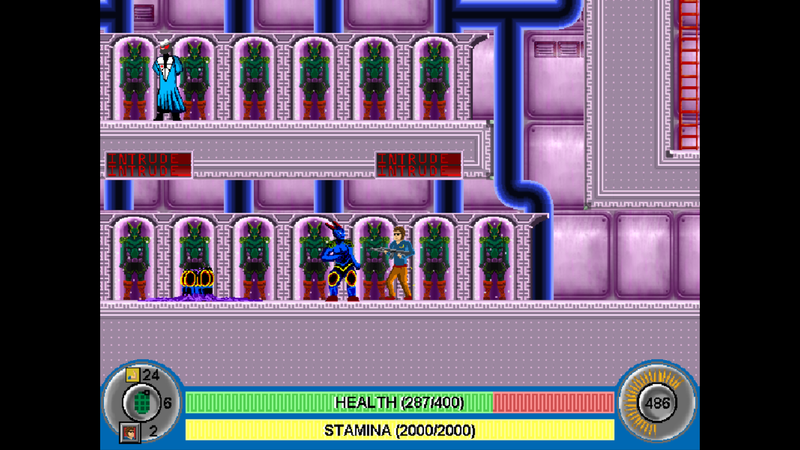 The game comes as an .exe file with everything needed to play the game in the file, so simple as download and go!